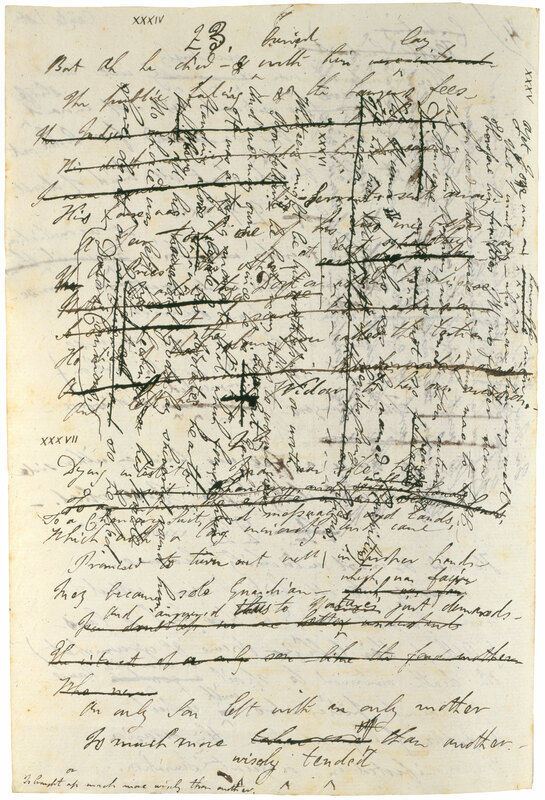 Don Juan : autograph manuscript, the first draft of Cantos I-V : Venice and Ravenna, 1818 July 3-1819 Nov. 30 and 1820 Oct. 16-Nov. 27. Purchased by Pierpont Morgan, 1900. The Morgan also holds the autograph manuscript of Canto XIII of Don Juan (MA 3001). Purchased by Pierpont Morgan from the London dealer Sotheran, 1900.